In the singles I was not seeded and had to play the qualifying group rounds. My first game was against a German player called Noah Volkmann. I won the game comfortably 21-9 21-11. I was very happy to win my first game of the tournament and took that energy into my next match against Jen Nuyts from Belgium. Again, I had a very good game and a comfortable win, 21-6 21-6. With my group complete I progressed to the knockout stages of the mens singles. Before the tournament I looked to see who I might be facing, and it was Dan Mcmillan from Surrey, the number 5/8 seed and a good friend. I took my good performances from my first two games into the game against Dan and came away with a 21-16 21-17 win. I then progressed to round 3, where I came up against a very tall Swedish player called Edvard Hylander. I knew this game was going to be hard, as he had some very good shots and would be able to cut out flat lifts. However, I played the same as I had in my previous three matches and won 21-15 21-16. This meant I was in the quarter final and against the top seed Noah Hasse, a Dutch player on home soil. With many people watching and on the ‘show court’ in the very middle of the hall, I still played some very good badminton but unfortunately Noah only just got the better of me, 17-21 17-21. In the doubles I partnered up with Liam Purton from Essex. We had a bye in the first round and came up against a very experienced French pair in round 2. Not having played together since our last international in Glasgow, April 2018, we were not as tight knit as the other pair and lost 18-21 19-21 in a good but disappointing game. As we had lost in the doubles, Liam and I entered the Doubles Tournament the next day, with hopes of redeeming ourselves. We were entered in a box of 5. Games were up to 30 points. In our group we won all our games conceding no more than 16 points. We then progressed through to the semi-final, where we met a very tall French pair! We knew it was an important match and played some great badminton, as we had previously in the day and came away with a 30-14 victory to make it into the Final where we would play the Dutch pair we had faced in our group. We continued our great gameplay and won 30-15 to win the tournament. On the final day, I entered the Team Event and teamed up with Dan Mcmillan, Liam Purton, Chloë Li (Netherlands) and Stefanie Nijsse (Netherlands). We had a group of 3 where we would play each team twice to find the victors. 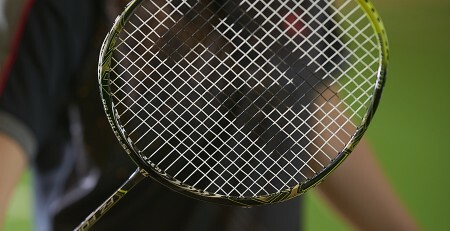 We played a boys singles, girls singles, mixed doubles, girls doubles and boys doubles. We changed the partnerships throughout the matches and won against ‘Krepkij Orech U15’ 4-1 4-1 and BABB U15 5-0 5-0. This meant we had won the team event. Overall, it was a very successful trip to Holland and I feel that I played the best badminton I have in a long time. I’d like to thank Forza West Midlands for their continued support and let’s see what 2019 can bring!